Don't wait until after the weather turns inclement to start thinking about purchasing salt and sand. 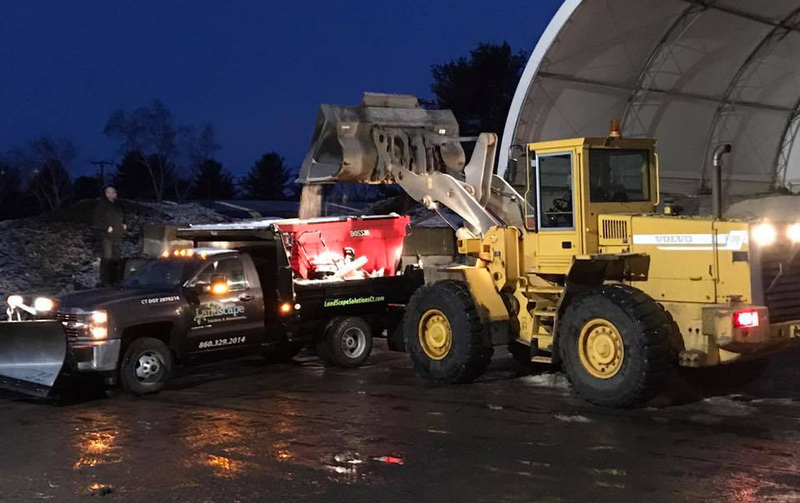 Plan ahead and come to Dunning Industries, your single source provider for quality landscape products including raw salt, treated salt & sand mixtures. Don't have storage space for loose salt? Not a problem we also carry bagged salt in bulk quantities. And we are here when you need us with extended hours during all storms. Salt loading at 3am during last overnight storm.